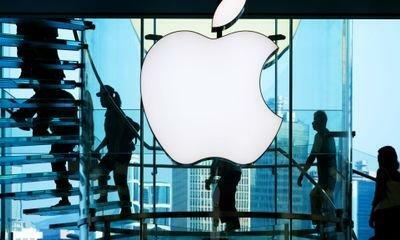 Apple (NasdaqGS: AAPL - news) is the best private sector firm to work for in the UK, according to a new survey. Research by the Indeed recruitment website found a diverse range of companies in the top 20 of their annual poll. Kitchens supplier Wren, pharmaceutical giant GlaxoSmithKline (Other OTC: GLAXF - news) and emergency repairs business Homeserve (LSE: HSV.L - news) were close behind the tech market leader. A similar survey earlier this year, which also included the state sector, found Transport for London rated the best employer overall for work-life balance. Apple, the world's first $1tr company, employs around 6,500 people in the UK. It regularly comes in the top five of the world's best brands. The company obtained the latest results after carrying out analysis of its own data. Bill Richards, of Indeed, said: "The difference between a good job and a great job can vary from person to person, but our ranking shows some common themes shine through. "Companies that make their employees feel valued and offer a positive working environment score consistently highly among the reviews posted on Indeed. "As we continue to see for many staff, work-life balance, career prospects and a great workplace culture can all mean more than a good salary alone."